Holiday Mecca to the Spanish. 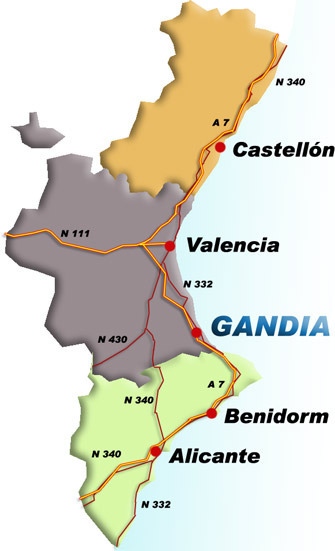 The northernmost town on the Costa Blanca or the southern most on the Costa del Azahar (depending on your allegiance) is the industrial town of Gandia, I am calling it a town but it is generally regarded as a city. 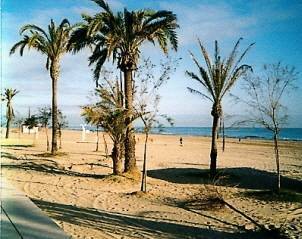 With a population of around 77,000, Gandia sits on the River Serpis about 65 kilometres south of Valencia, and has two separate areas – the town and the beach. Not so well known to International tourists, the wonderful sandy beaches of Gandia have long been popular with the Spanish who flock there in their thousands each year. 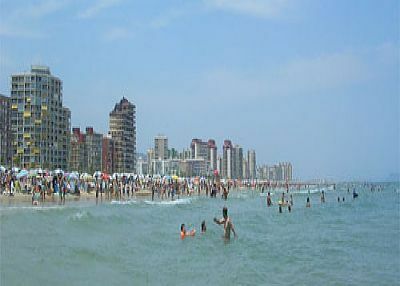 If this area Gandia interests you the there are villas and apartments available just click in for information. The town itself does not have much appeal as a holiday destination, being more of a working town, but it does have an interesting history and a number of fascinating places to visit, the best known being the Palau Ducal former home of the Borja family. Gandia was originally settled by Iberians and later by Romans and Moors and was later a university town, becoming an important cultural and commercial centre in the 15th and 16th centuries. One of Gandia’s famous residents was Ausiàs March born in 1397 and considered by many the finest Valencian poet. The port of Gandia was founded in 1886, the railway line to Alcoy in 1893. 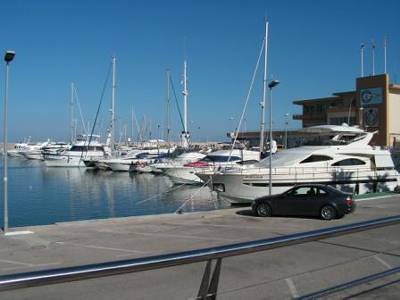 These days Gandia is a bustling, modern city surrounded by orange groves and still sporting a considerable fishing fleet. The area is steeped in history so when you get tired of building sandcastles on the beach, you can discover the ruined castles, palaces and quaint old cobbled medieval towns and cave houses. 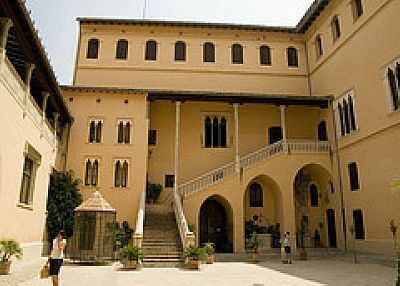 The medieval part of Gandia is traffic free which enables you to explore the narrow passageways: the Borgia Palace is magnificent. The area around the Cathedral at night is atmospheric and a costume film about the life of Lucretia Borgia was filmed in this area. There are boutique shops, cafes and the famous Lizeran tapas bar. The paseo with its fountains, runs the length of the city, with banks, restaurants and small cafes where you can sit and watch the world go by. A Carrefour supermarket can be found in Gandia and there are shopping malls, a multi screen cinema and 10 pin bowling. Eating out is most reasonable with lunch costing 7-10 euros per person on The Menu of The Day (Menu del Dia) and say 10-15 euros per person for an evening meal. Wine is for nothing and is often the same price as bottled water and produced locally. Why not therefore include a visit to a Bodega (Wine cellar) in your itinerary? 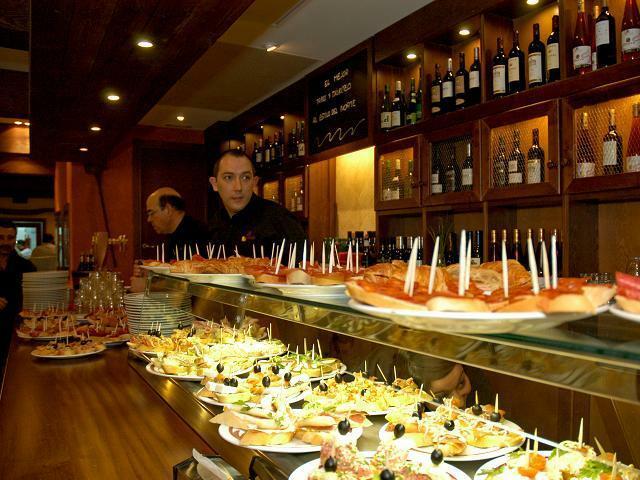 The world famous Tapas (delicious small snacks) often a good alternative for lunch, and available in most bars but mainly eaten in the early evening with a coffee or apertitif. Spanish live revolves around bars! 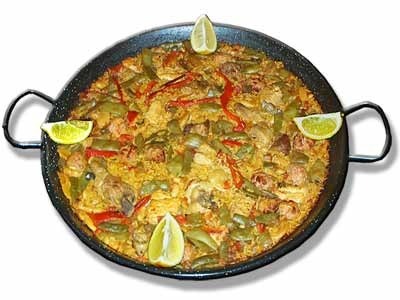 The region is renown throughout the world for ‘Paella’ which is savoury rice dish garnished with meat, fish, seafood or vegetables. You must not leave without sampling this unique dish made here in its place of origin. This region is Spain’s major producer of citrus fruits where oranges predominate. The area is full of orange groves. Citrus trees are an evergreen thus creating lushness all the year round and not the burnt up dryness of some other parts of Spain. Your Christmas Mandarins probably came from here. The regional capital, Valencia, with its historic parts and now with an incredible marine and science centre is approx. 1 hour away. Inland from the coast within a short drive you will be passing through small towns and villages that time seems to have forgotten. The whole are will give you a true taste of Spain that you won’t forget easily and you won’t be disappointed.